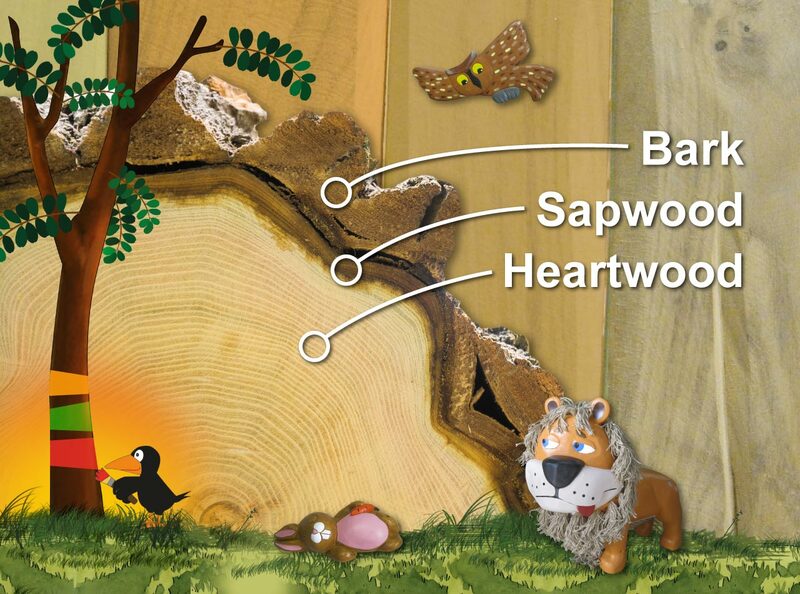 Thanks to its resistance to abiotic and biotic influences, robinia has a very special position among European woods. The EN 350-2 standard classifies wood varieties according to their resistance. 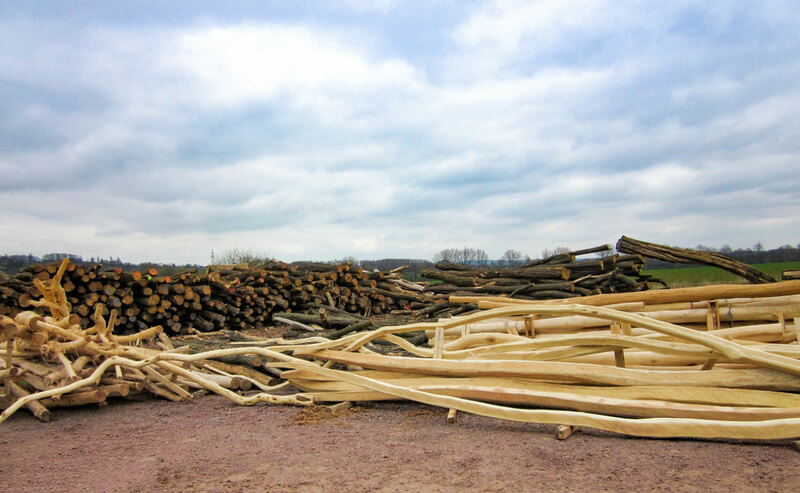 Robinia is the only resistance class 1 wood variety that is cultivated in Europe, which means that it is ideal for outdoor use and can be used without impregnation or supports. All equipment built in accordance with EN 1176. 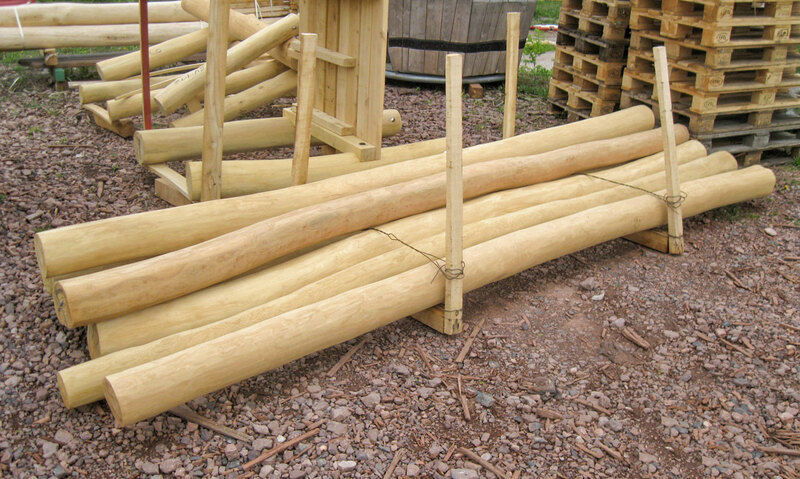 The design of the play equipment is also based on the natural shapes of the branches, forks and twigs. Platforms, roofs and balustrades are adapted to ensure that these play constructions are always unique. However, this also means that some projects may have longer delivery and manufacturing times. The naturalness of wood is expressed in its ability to expand or shrink, depending on the weather. The forces that then occur may result in cracks. Provided they do not affect the stability of the item (e.g. if there is a screw connection in the area of a crack), then they are not problematic. Wood cracks are not a flaw. It is unlikely that decay should occur in a crack, since robinia is a class 1 resistance wood. EN 1776 also considers that cracks are not critical, since the gap tapers towards the inside of the material and fingers cannot be trapped.